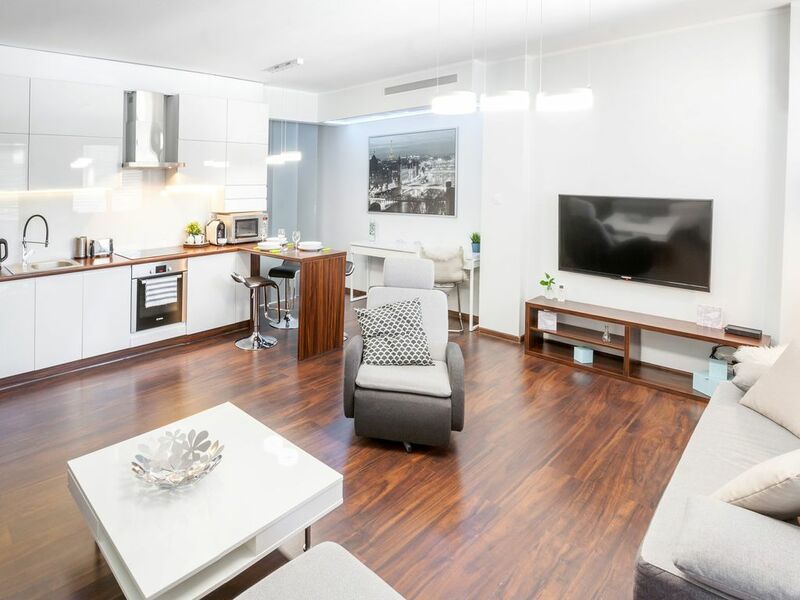 Da 36 Luxury Apartment with Balcony , 54 m2, 4th Floor with LIFT, Walking Distance to Market Square & Kazimierz, Free Internet, Modern Residence, Monitoring, Security, Heating, Air Conditioning, Fully equipped Kitchen, Shower, Shop in the Residence. Fresh bed linen and towels are provided. Bathroom – Shower, toilet, towels, hairdryer, washing machine. Showers gels and shampoo always available. Enjoyed our few days in Krakow. Property quite accessible to main tourist spots. Property clean and functional. Instructions about how to use the tv would have been useful. Would recommend as being good value. El apartamento está muy bien. Es muy bonito y está bien situado. Pero para una familia de 4 que han estado ocho días es un poco incómodo si quieres cocinar un poco y comer en el apartamento.